The Robert D. Farber University Archives & Special Collections Department at Brandeis University houses a collection of rare autograph documents, donated by various people, which range in date from the early seventeenth century through the twentieth. 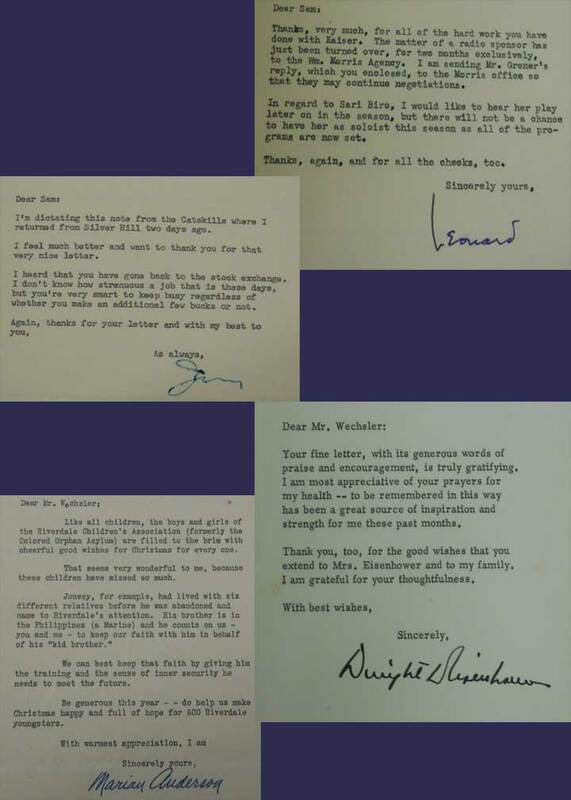 The Autograph collection spans 5.0 linear feet with 10 manuscript boxes and 1 oversized folder containing signed documents, correspondence, manuscripts, photographs, and etchings from notable historical and public personalities, including Justice Brandeis, John F. Kennedy, Henry James, Rockwell Kent, Thomas Mann, Isaac Newton, Joan Crawford, Lady Bird Johnson, Albert Einstein, Leo Tolstoi, Leon Trotsky, and many others. "Strange that the mere identity of paper and ink should be so powerful. The same thoughts might look cold and ineffectual in a printed book. Human nature craves a certain materialism and clings perniciously to what is tangible, as if that were of more importance than the spirit accidently involved in it." The term “autograph” may immediately bring to mind the image of a celebrity’s signature, captured by a fan on any surface that is at hand. While the noun “autograph” is equivalent to “signature,” the adjective “autograph” (or “holograph”) refers to anything written by hand with any type of marking instrument. 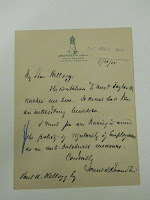 Evidence of autograph collecting dates back to antiquity, though it appeared in its modern form only around the beginning of the nineteenth century. The great libraries amassed the earliest collections, but private citizens, notably the two Plinys and Cicero, eventually developed an interest in collecting as well. There are also descriptions of autograph material being used to decorate homes and temples in China. Interest in autograph documents rose again after the invention of the printing press and the paper mill, as these innovations resulted in the replacement of vellum by paper as the preferred writing surface. A concurrent spread of the art of calligraphy promoted education and the dissemination of ideas, leading to a period of increased intellectual exchange in Europe. 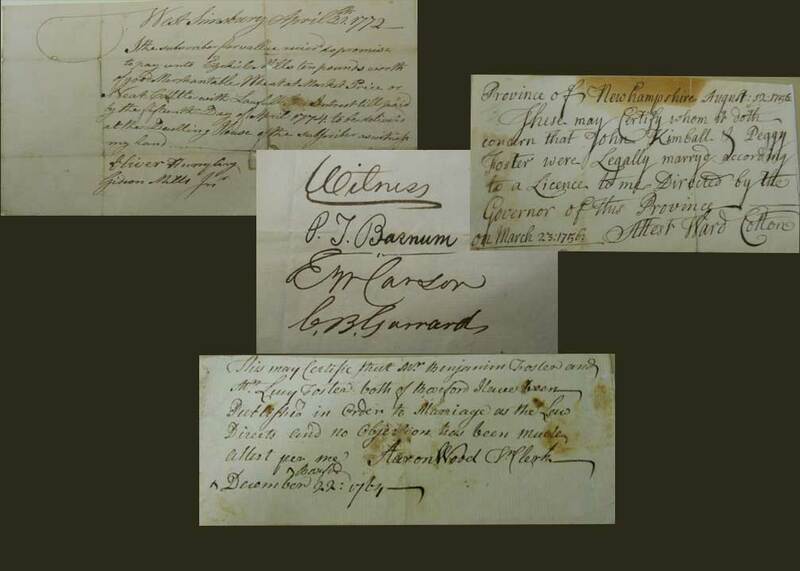 Those associated with the court, Church, and universities began to collect documents and letters with interesting or important content. While less expensive and easier to distribute than vellum, paper was still quite expensive to obtain and send, so the physical document itself was as precious as its content. Another trend in the early modern period was the alba amicorum, small notebooks carried by students and travelers which they would fill with notes of interesting occurrences and quotations. They also collected sentiments and greetings from professors, friends, and prominent people they encountered in their travels. There was a major boom in autograph collecting in both Europe and America at the turn of the nineteenth century; this had the most impact on modern autograph collecting. One catalyst was likely the popularity of “Grangerizing,” which was the insertion of autographs and other illustrative material into printed books; another was the development of the art of handwriting analysis, which sought to uncover a person’s true self as it was expressed through his or her handwriting. In the 1820s and 1830s, the publication of “autograph albums” containing facsimiles of famous signatures became quite popular; in 1836 and again in 1841-1842, Edgar Allan Poe published novel and extremely popular analyses of facsimile literary autographs. This functioned as a form of celebrity gossip, and autograph collecting swiftly became no longer purely a pursuit of the wealthy or scholarly. 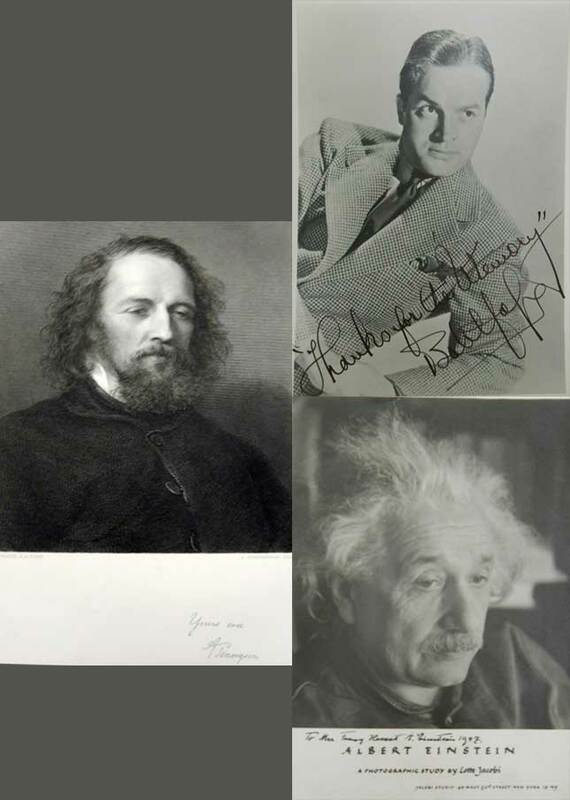 The public developed a fascination with collecting the signatures of notable figures themselves and would write to them with requests for autographs. The newfound ease in communicating with prominent figures was brought about by the shift from a rank-ordered society to a more egalitarian one. A major testament to these increased egalitarian feelings was the willingness of the public, from the 1870s onward, to request signatures from royalty without offering the customary gifts, which represented a striking breach of social taboo. While these signatures had little monetary value, they were a great source of social capital for the collector and one that was relatively easy to acquire. Although official anxieties grew over these practices, the public became more at ease and not only wrote to monarchs but attempted to fabricate accidental meetings as well. It became customary for the signatures of famous men and women to adorn their portraits, and this practice continues today, as signed pictures of celebrities are still very popular. Signatures composed without forethought or deliberation were more highly valued than those that were “commissioned,” so to speak, as handwriting was regarded as an unconscious and authentic product of the writer’s innermost self. One collector wrote, “There is something furtive about a true autograph. We should come by it obliquely and not by direct attack. A name written at the request of a stranger is only about as valuable as the same name stamped by machinery.” Therefore, autograph collectors preferred to obtain signatures by ruse rather than request or purchase. Interest in autographs peaked in the late 1920s, but sharply declined during the Great Depression and World War II. After the war, interest rose again, and the booming entertainment industries provided a new field of celebrities from which to gather autographs. While the proponents of handwriting analysis regarded the signature as something that revealed or proved some aspect of the writer’s identity, signatures are also very important for other proof as well. Handwriting analysis is now out of fashion, so while fans who attempt to collect a celebrity autograph still attempt to create that intangible, lasting connection, they may also value the autograph as tangible proof of their encounter with that celebrity. The excitement generated by the encounter with the celebrity is often the impetus for collecting, rather than the existence of any monetary value. Another important element of the signature is its value as a legal entity, which indicates the knowledge, approval, acceptance, or obligation relating to that document. It can be a name or just a mark put down by that person, but it holds a great amount of power. 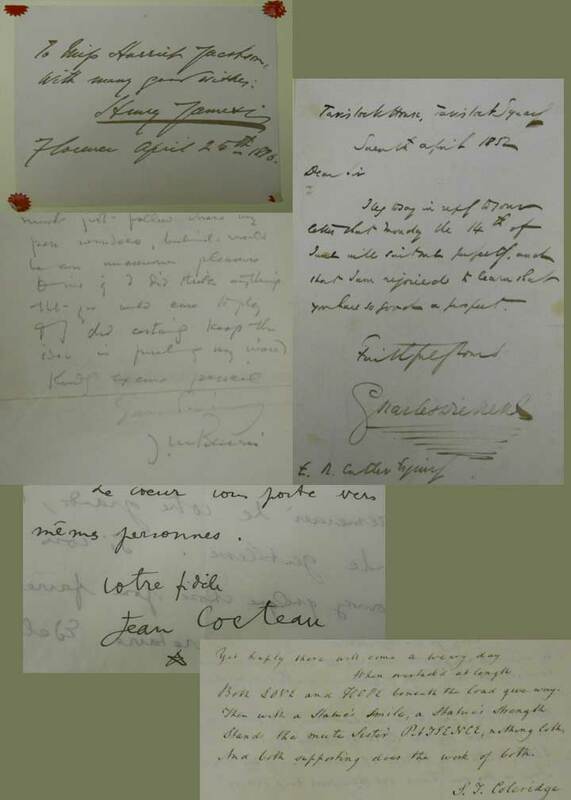 Handwriting analysis may have been the initial impetus for collecting autographs in the nineteenth century, but, both then and now, the greatest reward seems to come from the connection the collector makes to his or her subject, which is something of almost mystical quality. 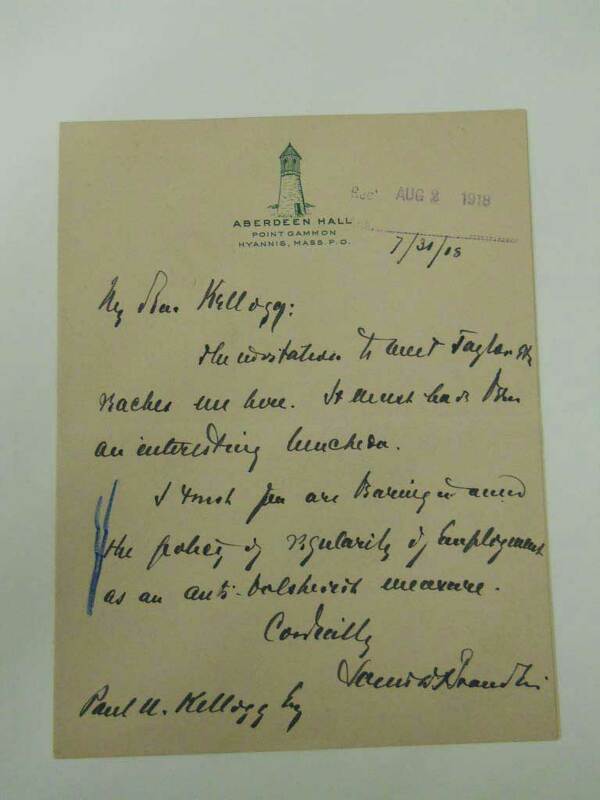 The autograph itself seems to exude an aura of greatness and allows the collector to create a link to its writer, regardless of whether the distance between them is measured in miles or in centuries. The special quality imbued in the physicality of the autograph, like the preciousness of the paper in previous centuries, becomes almost more important than the content because of its ability to capture part of the self that produced it. 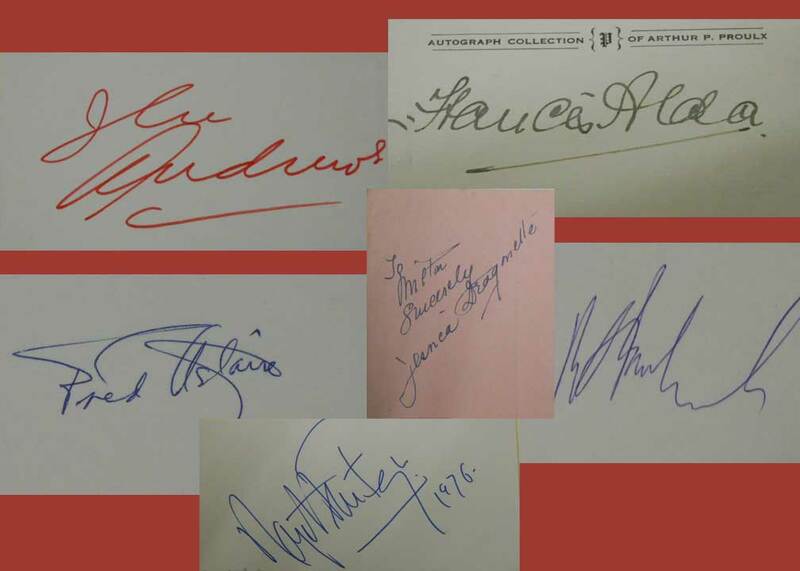 The autograph collection at Brandeis includes a stunning variety of autographs. 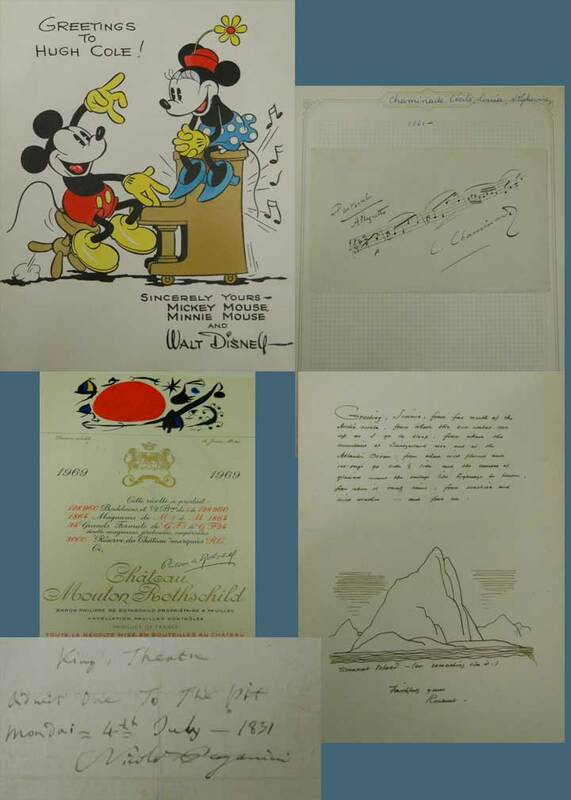 From the historical documents and celebrity signatures acquired to build a collection to the personal correspondence between the donors and prominent figures, it represents the range of reasons why people collect autographs as well as the importance of the handwritten word in many contexts. For information on one of the rarest items in the collection, the Newton Manuscript, see the Special Collections Spotlight from May 2011. An online finding aid to the collection is available here. Fields, Joseph E. “The History of Autograph Collecting.” In Autographs and Manuscripts: A Collector’s Manual. Edmund Berkeley, Jr., ed. New York: Charles Scribner’s Sons, 1978. Notlep, Robert. The Autograph Collector. New York, Crown Publishers, 1968. Patterson, Jerry E. Autographs: A Collector’s Guide. Crown Publishers, Inc.: New York, 1973. Thornton, Tamara Plakins. Handwriting in America: A Cultural History. New Haven: Yale University, 1996.